The Kudeejeen bakery, Thanusingha Bakery House, was the first bakery to be established in Thailand. For over 200 years this bakery has been making traditional Portuguese snacks. This award-winning bakery is located in the Kudeejeen community, a small and relatively unexplored local neighbourhood in Thonburi, on the west side of the Chao Phraya River. During the period that Thonburi was established as the new capital of Thailand King Taksin allocated land to Thai-Chinese and Portuguese settlers. These were the first residents to settle in this community almost 250 years ago. The name Kudeejeen roughly translates to Chinese Shrine (‘Kudee’ means religious building and ‘Jeen’ means Chinese). 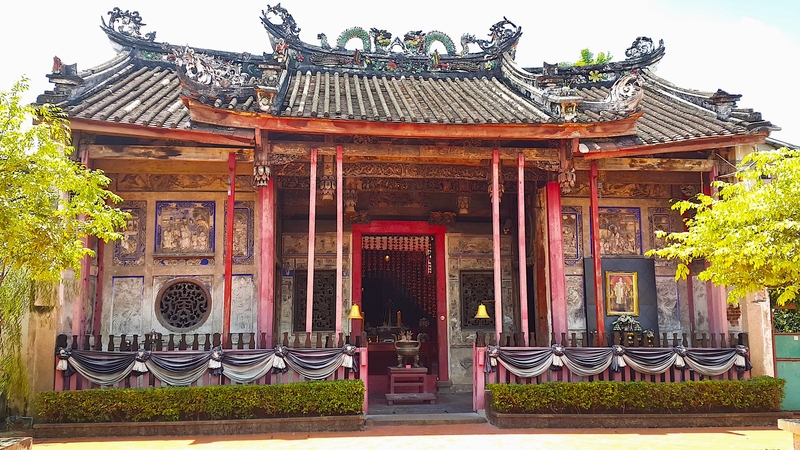 Most likely the name Kudeejeen originates from the first Chinese Buddhist shrine to be built in Bangkok, the Kuan Yin Shrine, that is located in the community. The Kudeejeen community is a mix of religions and cultures that harmoniously exist side by side, and predominantly it remains Buddhist and Catholic. 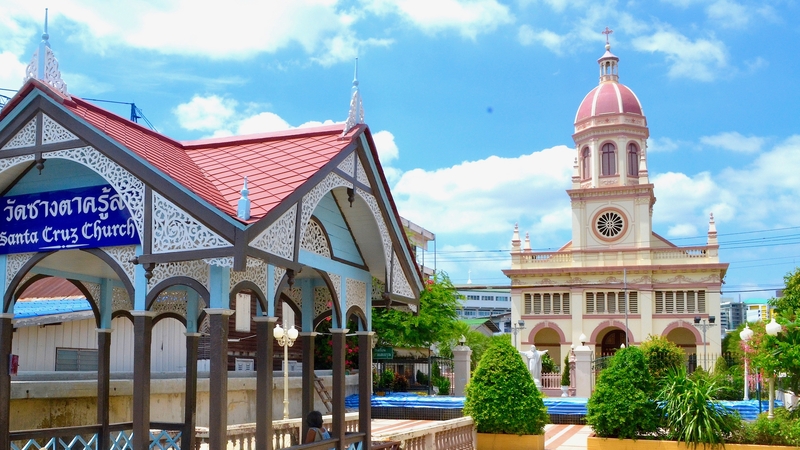 The Kudeejeen community is often referred to as the Portuguese community of Bangkok and is home to a large number of Thai Catholics. Santa Cruz Church is the centre of the community, established by a Portuguese immigrant in 1769; it is the oldest Catholic Church in Bangkok. The Kudeejeen community has a unique identity that has retained many local traditions. The best example of the Portuguese traditions can be found, and tasted, at the local bakeries. There are four remaining bakeries in the community but the most well know is the Thanusingha Bakery House. This down to earth local business is tucked away in the peaceful network of narrow paths that create the village atmosphere of the Kudeejeen community. The same family has been baking these traditional Portuguese influenced cupcakes for over five generations. 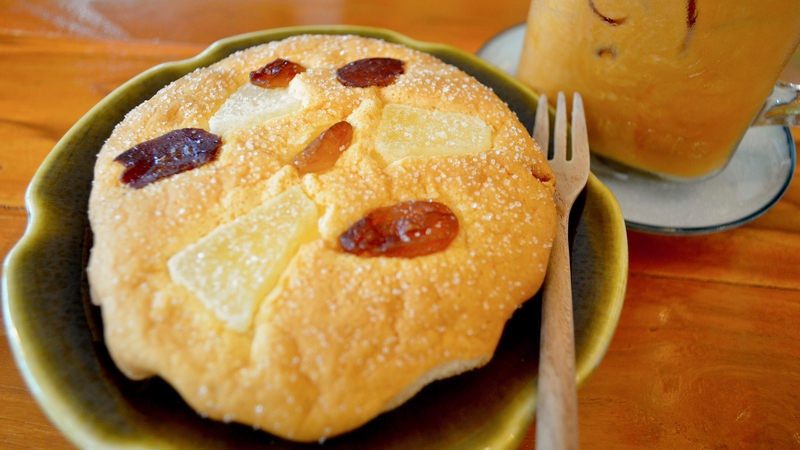 The cakes are called ‘Khanom Farang Kudeejeen’, also known as Chinese Monk Candy. They are believed to be the first cakes that were made in Thailand. The name ‘Khanom’ means dessert, and ‘ Farang” means someone of European ancestry. Still using the original Portuguese recipe from past generations there are three main ingredients, wheat flour, duck eggs and sugar. The toppings of dried sweet watermelon and raisins are a Chinese influence. These locally made Portuguese cakes, with Chinese toppings, are a great example of east meeting west and how, for many generations, mixed cultures have coexist in harmony in this community. Although the Kudeejeen community is unknown to most visitors to Bangkok, it is well worth exploring, as there are many interesting discoveries around every corner. Our Siam Chumchon tour passes through this community and you can try these famous cakes, as they are served fresh and warm, straight from the oven.